It’s important to make sure you control your name online. That’s with our Social Profile Registration service, we’ll manually register your brand for you on all the top social media websites in the world. Your brand is important. Taking steps to align your brand correctly will help you organize your marketing efforts moving forward. By registering your profiles you can be sure that your brand is dialed in for your next step in marketing. 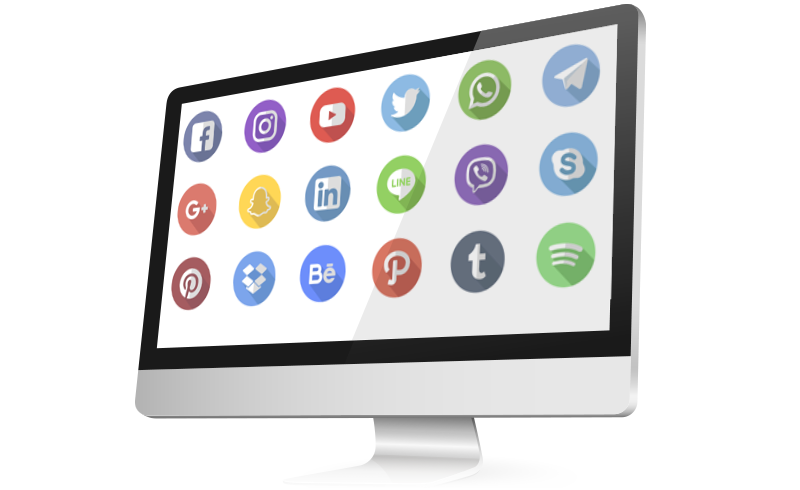 Not only does Social Brand Management increase visibility for your company online, it also gives you powerful social signals by linking from these platforms back to your main website. These are trusted sources and high authority websites online. By registering the top social sites in the world, your brand will be everywhere! This helps keep you top of mind with your customers. When you are ready to get started we will ask you to fill out a simple form with some information about your business. Once your information is submitted we do all the hard work for you and deliver a listing report once the work has been completed. Just give us your desired brand name and a few details about your desired profile. Our highly trained team goes to work securing your brand name on social sites. We’ll create all these accounts from a special email address (so your inbox isn’t flooded with registration confirmations). We deliver you a detailed report with all the properties registered, as well as usernames and passwords. Now your brand is secure!